CreativeBloc brings together advertising’s most creative and influential thought leaders. These speakers bring expertise from content marketing, strategy, typography, and UX. 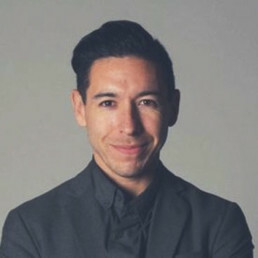 Jeremiah Albrecht is Creative Director of Chandler Inc., a multi-disciplinary retail design firm committed to designing retail environments that bridge aesthetics and functionality. He is responsible for overseeing a diverse team of creatives and working with clients such as Best Buy, Target, Gander Outdoors, Sony and The Home Depot. Jeremiah graduated with a Furniture Design degree from the Minneapolis College of Art and Design and has been a Minneapolis based designer for over 20 years. 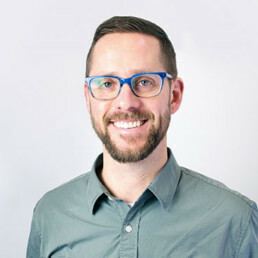 Prior to joining Chandler, Jeremiah worked with several top-notch design agencies such as HGA, Worrell and Carbon Collaborative working on a range of projects from retail environments to corporate interiors. As Partner and Chief Marketing Officer, for Planet Propaganda, John oversees the strategic and creative direction of the agency. During the last two decades, he has also served as Planet’s Strategy Director, Creative Director, and Lead Filler/Emptier of the office beer fridge. 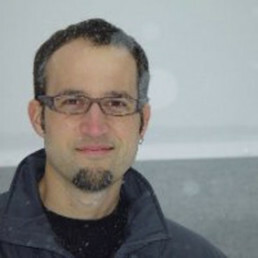 Using Planet’s Simplify >< Amplify process, John has helped steer brands for clients such as Pernod Ricard, Duluth Trading Company, Pancheros, Gatorade Endurance, and Jersey Mike’s Subs. In his spare time, John can be found fishing, snowboarding, diving (scuba, not Olympic), and crafting elaborate swizzle sticks from detritus he collected from the sea. He also enjoys making his two sons laugh so hard that they have to lean against the wall to keep from falling down. Unfortunately, this last statement is very dated. His sons no longer think he is funny. Not one damn bit. As President of VML, Eric provides strategic leadership and drives growth across VML’s global network. He has been pivotal in the continued evolution of VML and central to unifying VML’s capability and geography to maximize our impact on client business. Danielle Evans is a proud Columbus, Ohio native all too willing to play with her food. For five years she’s bent and twisted ordinary items into extraordinary lettering for commercials, social campaigns, billboards, and book covers. Her work is a clever marriage of design and artful arrangement — approachable, tongue-in-cheek, hailed internationally as a visual feast. Clients include Target, Disney, The Guardian, McDonald’s, John Frieda, Aria, Cadillac, and TAZO. Michael is responsible for Hallmark’s Corporate Diversity & Inclusion’s strategies and direction, Diversity & Inclusion’s, (D&I’s) internal and external collaborations, partnerships, support and compliance. 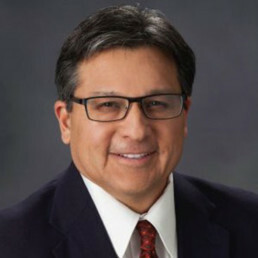 He is responsible for the execution of the Corporate Diversity & Inclusion’s efforts regarding, workforce, workplace, marketplace and community priorities. Michael sustains the relevance of the company’s Diversity & Inclusion business case while overseeing the company’s six Employee Resource Groups, (ERG’s). He’s skilled in the areas of building critical relations, innovation and resourcing, business collaboration, employee relations, diverse and cultural understandings, compliance metrics and program management. Jeff Julian is the Co-founder and Chief Executive Officer of Squared Digital, a media and marketing services company based in Kansas City. 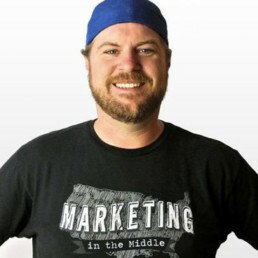 Jeff has been helping enterprise marketing teams develop content strategies for over ten years after he launched one of the largest blogging communities, Geekswithblogs.net. He has been a web developer since 1994, a best-selling author of a book on content management system development, and a Microsoft Most Valuable Professional in XML and SharePoint. Jeff has recently finished a book titled, Agile Marketing: Building Endurance for your Content Marketing Teams. 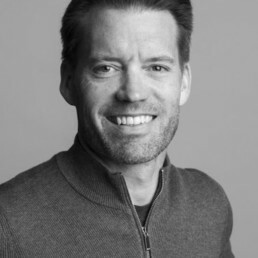 Craig has spent his career driving digital innovation while working at great companies like General Mills, Colle+McVoy, GoKart Labs and Ovative/group – where he currently works as the Senior Director of Marketing. He’s also an adjunct teacher at the University of Minnesota and serves as the Vice President on the Board of Directors at the Minnesota Interactive Marketing Association. 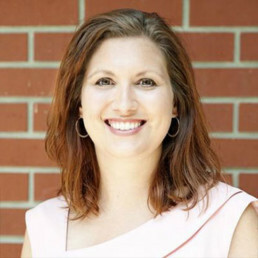 Shanna Goodman, President of Ampersand Business Solutions, specializes in market-focused business strategy and is passionate about helping clients identify opportunities and achieve sustainable growth. She utilizes her expertise in human behavior and communications to help clients maximize investments, create focus, and achieve tangible results. 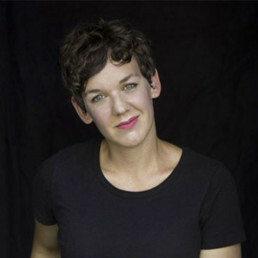 In the past she has worked with corporations such as Coca Cola, PepsiCo, Hy-Vee, Sara Lee, and Kellogg’s. 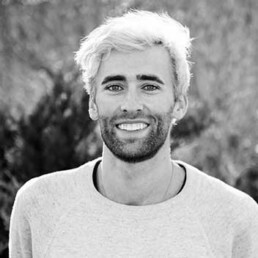 Brendan O’Shaughnessy is a multidisciplinary designer and entrepreneur, proudly rooted in Kansas City. 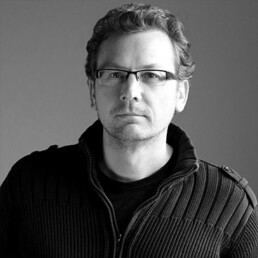 He founded Ocean & Sea in 2013, a design and branding studio, specializing in product and experiential design. They sail & sell crafted goods on a landlocked sailboat pop-up shop. In addition, he recently opened a new studio space and flagship store in Mission, KS. Through their nautically inspired clothing and lifestyle goods, they inspire, activate and equip people to dream again. Adrian is an internet marketer featured on Shopify Masters for publicly documenting growth hacks of products scaling from zero to 10k in 4 days. Adrian started as a YouTuber and currently has over 750,000 subscribers across his 5 channels and is a co-owner of a digital performance based marketing firm called Unimarketa. Adrian is also the founder of Search Engine Conquest which is a course that teaches how to create profitable campaigns for start ups and entrepreneurs.